Just a few days ago (on January 26, 2016), Shakira’s song: “Waka Waka (This Time for Africa)” who was recorded as the official song of the 2010 World Cup, passed 1 billion views on YouTube. The video features Shakira alongside South African band Freshlyground entered in the exclusive top 20 videos that have more than 1 billion views on YouTube. Four months ago (on October 7, 2015), we published an infographic with the only 10 videos in the world that have more than 1 billion views on YouTube. I’m curious to see if there will be 30 videos (or more) that will passed 1 billion views on YouTube after another 4 months. 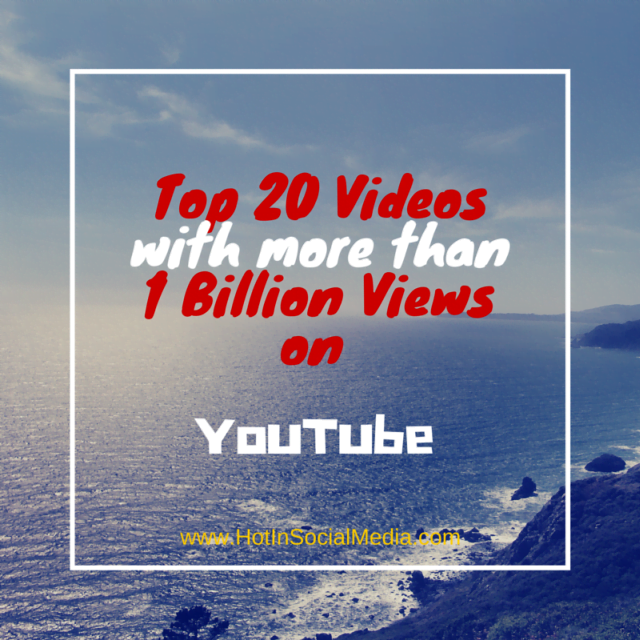 At the time of writing this article, there are already 4 YouTube videos that have more than 900 million views. Psy’s song “Gangnam Style” which was the first video that passed 1 billion views on YouTube is the only video that passed a few days ago (January 20, 2016), 2.5 billion views on YouTube.